I have an Alienware 17 laptop. When the charging cable (while attached to the laptop) is put into the socket, the laptop makes a beeping noise, and switches on - well, something is switched on. There is no proper boot, but I can can hear the harddisk spinning. It will stay like that, until i push the Reset button, upon which the laptop boots properly. I wonder, what is the reason for this behaviour & is there a chance that this will damage my hardware? At any rate, I would very much like to stop this behaviour. When you first plug the adapter in and power on the machine, how many exact # of beeps are encountered? 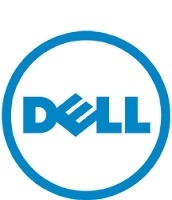 Update the BIOS - http://dell.to/1WU5KuB - restart the system and check. Restart the system and press f12 key on startup - choose diagnostics. Let it run the diags and if you encounter any errors - make a note of the complete error and report the same to us.These are onboard diagnostics and they might possible pick some error if the hardware is not functional.